A fitting tribute to the King of the Jungle, this large statue of a lion shows the splendid creature with its magnificent mane on full display and a golden crown firmly on its head. The deep black, shiny finish of the resin beautifully illuminates the crown in all its glory. 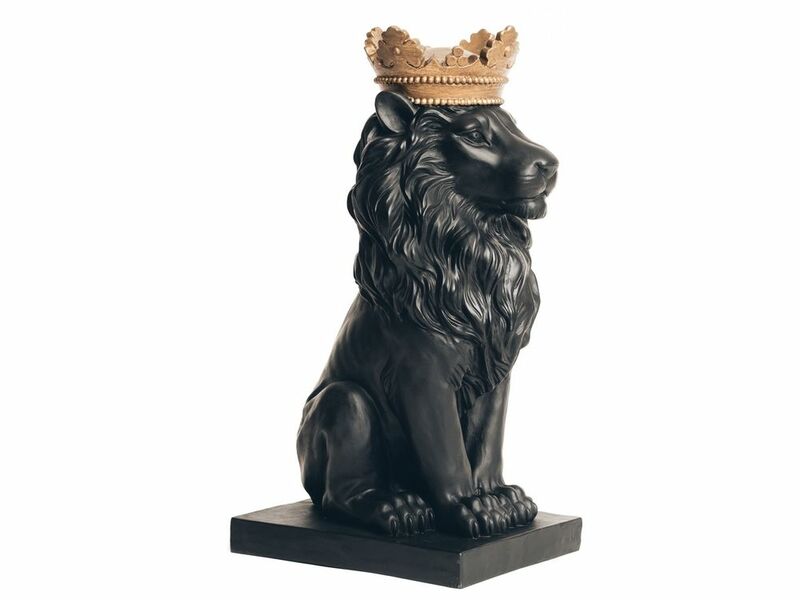 Sitting tall and proud, this black lion ornament oozes a feeling of regal splendour. A solemn, wise expression on its face, this large lion ornament is an easy way to nod to the wonder of nature and bring a powerful, commanding statement to rooms.